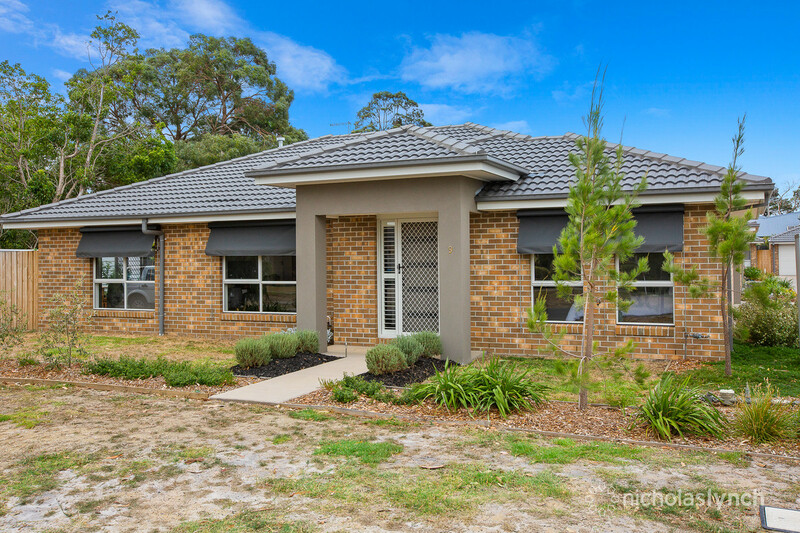 Just steps to Bittern Fields Shopping Centre and 200 metres from the train station, this immaculate residence offers convenient, low-maintenance living. 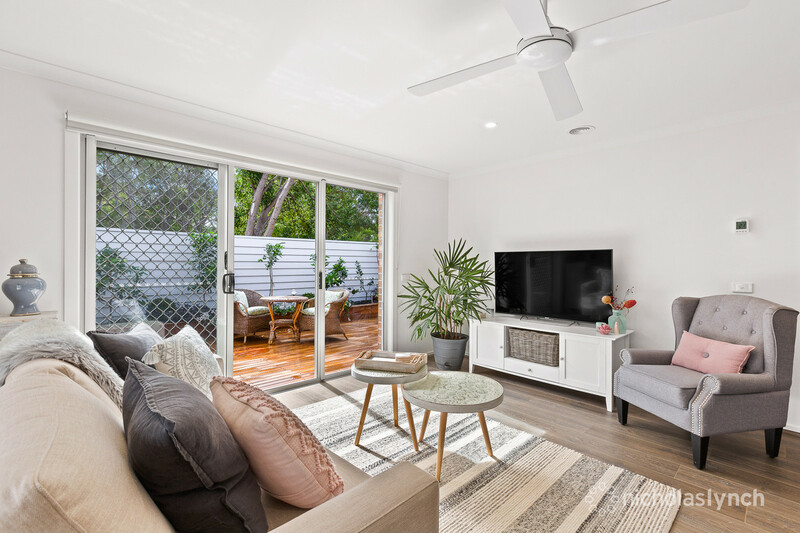 Boasting its own street frontage, the near-new brick veneer unit features a light-filled design with contemporary finishes throughout. 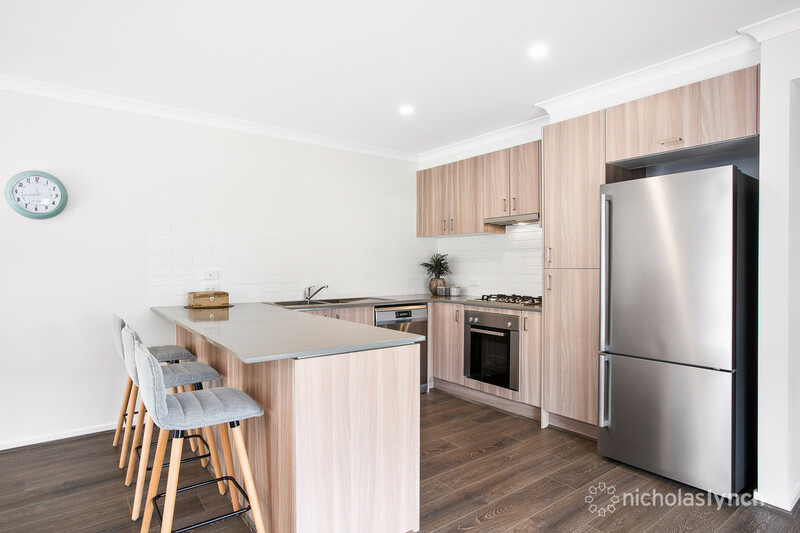 The kitchen contains stone benchtops and stainless-steel appliances including a gas cooktop with wok burner, electric oven and dishwasher. 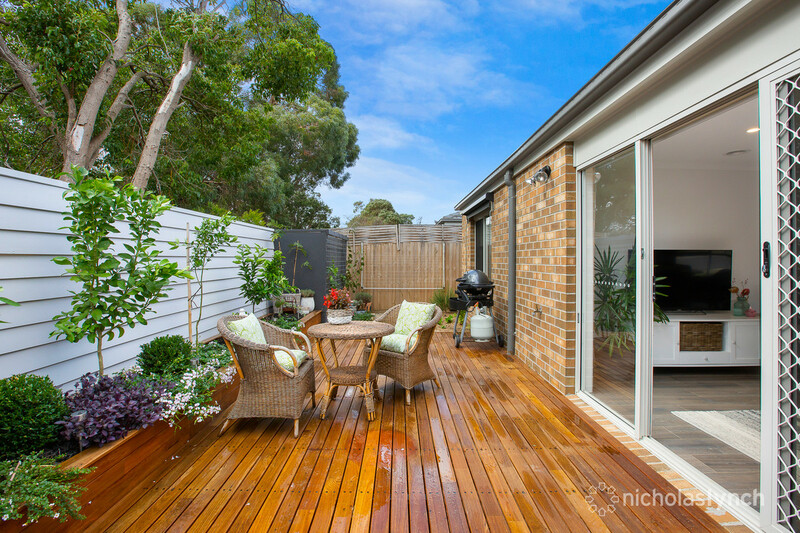 An open-plan living/dining area flows onto a sun-drenched alfresco deck surrounded by landscaped gardens – perfect for outdoor entertaining. All three bedrooms have ceiling fans including the master with a walk-in-robe and en suite.. Other inclusions are gas ducted heating, split-system air-conditioning, LED downlights and a rear remote double garage with internal access. 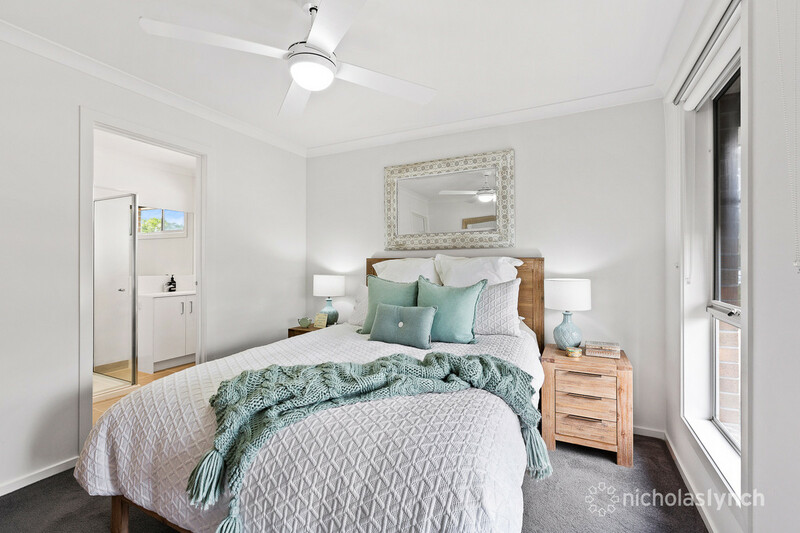 Surrounded by other new homes, this appealing property is near parks and schools and provides easy access to Peninsula Link and Western Port Highway. Prepare to be impressed.